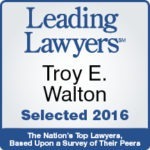 Why choose Walton Telken as your Mesothelioma Asbestos Attorneys? Mesothelioma lawsuits are very complex and require highly skilled and knowledgeable attorneys. The attorneys of Walton Telken, LLC offer our clients the experience and knowledge necessary to achieve the best results for their injury and illness. We have helped many clients receive the fullest compensation possible. If you or a loved one has been exposed to asbestos – call one of our attorneys today at 618-272-2284 or 844-307-7349.